Are you wanting to plant that eye catching, what’s in there, out of this world combination planter but just don’t know what will look good together? 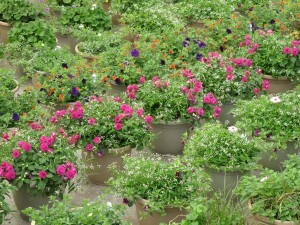 Let us help by browsing through over 40 Proven Winners Combination Planters that are in full bloom. From The Sunrise Splender to Afternoon Delight, or the Craze of Night don’t be a Dream Chaser have a Garden Party at your Home Sweet Home. And when the Party Time is done it will be Sweet Dreams for you.